The standard European warranty period is three (3) years, (CCTV Products two (2) Years), from the date of sale to the first end user as a new device An end user is exclusively a person who acquires the product for their own use and not for the purposes of commercial resale. The warranty period for accessories, such as remote controls, is one (1) year from date of purchase. The warranty claim entitles the user to a repair, the replacement of defective parts or an exchange of the product for a product of equal quality without charging labor or material costs. The performance of warranty claims shall cause neither an extension nor a restart of the warranty period. The cost and handling for the warranty process will be covered by iiyama, unless a No Defect Found is detected. In this case iiyama reserves the right to raise any relevant charges to the customer. iiyama provides the following standard warranty cover for each product group. Parts like remote control, etc. If you have a defect within 8 days of purchase (called DOA period) check your local Website or contact your Dealer/Supplier. For devices that are already in use longer than 8 days and within the warranty period we offer an extended on-site service. Your defective monitor will be picked up at the registered address during the warranty. Next, we provide, depending on the type of monitor, service on one of the following ways: You will receive immediately after taking your defective monitor a replacement, which you can keep. The replacement monitor remains your property. In exceptional cases and at most of the touch screen monitors and Large Format Display the defective unit will be repaired by our service and delivered usually within 8days to you back. Iiyama reserves the rights to repair your monitor in our own workshop or over an authorized Service Partner. Your IIYAMA product must have been purchased from an authorized IIYAMA reseller or distribution partner in order to be eligible for warranty coverage. Warranty is for the original purchaser only and is not transferable. Original proof of purchase is required to receive warranty service. An iiyama local RMA service representative will perform a hardware check to determine if your device is defective and if an RMA is needed. If an RMA is issued, securely package your product with your name, address, phone number, and hand the product to the local RMA service presentative. Customers or local RMA service representative must pay for the cost of shipping the defective product. iiyama does not offer any onsite or next business day replacement warranty for the above mentioned regions. iiyama international support a product purchased and installed in Europe Mainland and Nordics. For further details please check your local iiyama website or contact your dealer. For drivers, user manuals and specifications relating to current products, please visit the individual model within the product section of the iiyama website. For discontinued products, please enter the model number into the iiyama service tool on the left. N.B. Windows NT 4.0 does not require drivers to recognise an iiyama product. Many graphic cards offer additional software for that purpose. If drivers/programs of this type are not available, standard VESA drivers can be used. Driver files for all iiyama products, both new and old are contained within the one file. We recommend that you use the standard functionality of the graphics card driver. Nvidia, ATI / AMD and Intel chipsets support many standard features of the Pivot. Please check the download tab available within a specific product. Environmental protection is a priority for the conservation of precious natural resources and the continued health of our planet and all species. iiyama recognizes its importance as a global company and is continually striving to reduce the environmental impact of the work it does and the products it creates. It all begins here. Reducing the environmental impact of our products starts with the product design phase. Design dictates the quantity of raw materials, type and recylability of materials, energy consumption required for manufacturing and use, and the ease of recycling. Our decision to eliminate Cathode Ray Tube (CRT) displays makes our product line much more environmentally friendly. Our LCD displays eliminate more than one kilo of lead, consume up to 80% less energy in sleep mode, and weigh half as much as their CRT predecessors. iiyama's approach to recycling encompassing a product's entire lifecycle and includes extensive take-back programs that enable consumers and businesses to dispose of used monitors in an environmentally friendly manner. For more details regarding recycling please chose a country from the list below. Here you will find a summary of the more commonly asked questions in the monitor world. If you would like to receive more detailed information on a specific subject, we recommend the glossary and worth knowing sections of the iiyama website. Alternatively you can email us directly. AMD FreeSync™ technology is comparable with NVidia G-Sync technology, the main difference is that FreeSync™ is supported through the DisplayPort 1.2a standard where G-Sync requires special hardware.The technology used is Adaptive VSync, when the frame rate drops during gameplay the monitor refresh rate will also go down to stay in sync with the graphics card. Putting an end to choppy gameplay, broken frames and delivering fluid artifact-free performance. To use the functionally it’s mandatory to have an AMD GPU graphics card which supports FreeSync™. I have an Apple MAC-system, will my monitor work? MAC-systems previously had a different graphics cards/connections, so they were not always compatible with all monitors. For the older Mac models, before Power Mac came on the market, you can order an adapter from iiyama. The newer Mac systems (PowerMac and newer) can always be used in combination with our monitors. However, some MAC’s use Apple own proprietry out put for connecting to Monitors. In these cases an additional adapter will be required. Please contact your iiyama dealer and provide information on the MAC system you are using so that iiyama can correctly advise which adapter you will need. Do I have to install a driver for an iiyama monitor? All iiyama monitors are Plug & Play. In a modern operating system Plug & Play (from Win98 SR2) is not necessary to install a monitor driver, as the most relevant information has been automatically exchanged between your system and the iiyama Plug & Play monitor. The driver contains the color profile of your monitor, it can be installed on Windows operating systems, which can increase colour performance if used. What does TCO '99/ TCO ‘03/ TCO 5.0/ TCO 6.0 stand for? Almost all iiyama monitors meet TCO '03 and TCO 5.0 or 6.0 standard, which means that the monitors meet the toughest requirements in the field of radiation, ergonomics, environment and health. What does the brightness stand for? The brightness of a monitor is measured in cd/m². Our LCD monitors have a brightness above 250 cd/m². This is especially useful when viewing moving images and playing games. This is the digital connection to an LCD monitor or graphics card. With a DVI connection the picture quality is always perfect. There are two different connections. The DVI-D connector is a digital only connection and DVI-I (also known as DVI-A) lead can be either digital or analog signal (with analogue control a cable with a 15 pin VGA connector is connected on the computer). This is the digital connection to an LCD monitor or graphics card. With a HDMI connection the picture quality is always perfect. Sound is also transmitted through the HDMI cable, but please check with computer and laptop manufacturers to ensure that the HDMI ports used can carry sound. The signal from HDMI is compatible with DVI-D (without sound). Can I play games or watch a (DVD) movie on a LCD monitor? It is possible to play games or watch DVD on LCD monitors when connects to a Console or PC System. The response time is an LCD screens ability to turn a pixel on then completely off. This time is measured in mile seconds, which varies from one LCD monitor, currently the fastest is 1ms. Our LCD monitors are now all a response time between 1 and 5 ms and therefore all are suitable for playing games and watching movies. What is the difference between TN, IPS and MVA LCD technologies? Twisted Nematic (TN) – TN Panels use an LCD Technology whereby the LCD Elements twist and untwist when a voltage is applied, which controls the level of light passing through the pixel. This is the most common LCD technology on the market, and benefits from high response times and can acheive 72% of the colours in the NTSC Colour Light Spectrum. In Plane Switching (IPS) – IPS Panels use an LCD Technology whereby a pixel shifts alignment when a voltage is applied. IPS offers good response times and can achieve a degree of high colour accuracy, making it suitable in some Graphics Applications, and also offers enhanced viewing angles. Vertical Alignment (VA) – VA Panels are similar to IPS, but when to voltage is applied to the pixel , it creates a near perfect black scren. VA tends to offer much higher contrast ratios and colour accuracy (100% + of the NTSC Colour Gamut) and is often used for Photographic and Graphics applications. Is it possible to protect my LCD monitor against scratches? Yes, iiyama provides monitors with protective glass. See this page for more information. Can there be defective pixels on a LCD monitor? An LCD monitor is made up of millions of pixels (picture elements). A pixel defect occurs when a pixel (in red, green or blue) stays lit or ceases to function. In practice, a defective pixel is barely visible to the naked eye. It in no way impedes the functionality of the monitor. Despite our efforts to perfect production of LCD monitors, no manufacturer shall guarantee that all of its LCD panels will be free from pixel defects. Iiyama will however exchange or repair a LCD monitor if there are lot more pixels than acceptable. See our pixel policy for warranty conditions. How can I best clean my monitor? With a mild detergent. Note that even special wipes for monitors may contain corrosive agents. Unplug the power cord from the monitor when cleaning, for your own safety. sRGB, which stands for “standardized Red, Green, Blue”, is a color calibration standard. This is useful for DTP work and in assessing such colors on e-commerce web sites. sRGB may, in addition to monitors, it is also used for televisions, scanners, cameras and printers. The aim is to use a standard color table for both the consumer and the professional environment. When sRGB is activated, the monitor brightness is set to 80 cd/m² with a gamma value of 2.2. The color temperature is automatically set to 6500 Kelvin. Your warranty period may vary from product to product, check the warranty page for more information. Which graphics card do you recommend? 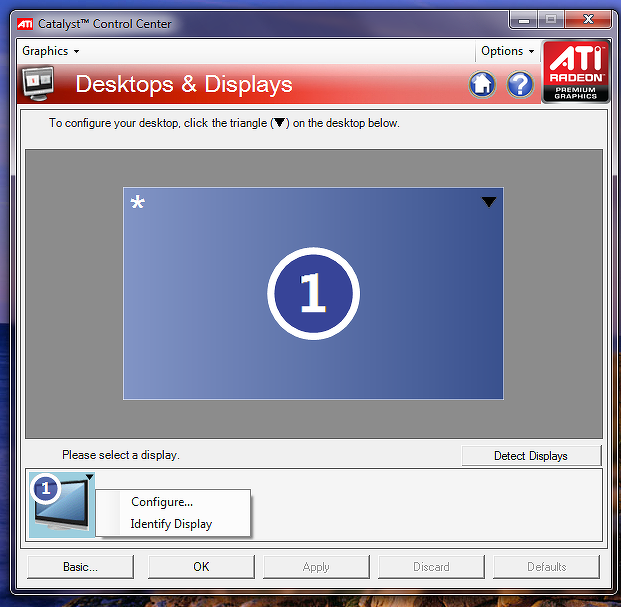 iiyama monitors work with any standard graphics card. Make sure that the graphics card supports the native resolution of the monitor. Where can I buy iiyama monitors? See the link below for local or national vendors. Or use our search tool, or contact iiyama and talk to one of our sales respresntitives. How can I restore factory settings? Almost all iiyama monitors reset to factory settings reset. Check your manual for details. 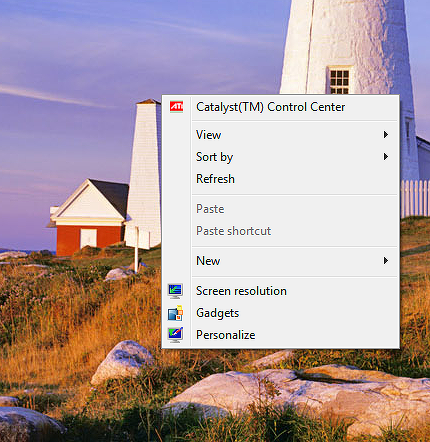 This function is generally found in the menu settings on iiyama monitors. Are LCD monitors suitable for desktop publishing? LCD screens are suitable for desktop publishing applications, in most cases. For desktop publishing applications a high resolution, good color reproduction and a reasonable screen size are required. In some areas the color is even greater than that of a CRT, in others its less (blue), but that is not crucial for a print. For more advanced DTP applications, where colour is a critical factor, different LCD technology may be required to achieve a range of visible colours suitable for Digital Prepress Proofing environment. Where can I see an iiyama monitor? iiyama has no showroom, you can view our monitors at our dealers. However, if you are considering a project that may involve a quantity of iiyama screens, we would be happy to lend you a selection of screens for testing. My monitor has the right image, but has lines with VGA connection. Your monitor is not optimally set yet, you can do the auto setup of the monitor. Check your manual for details. Can I use my game console, Blu Ray / DVD player to an iiyama monitor with HDMI? All iiyama monitor with an HDMI connection are compatible with Consoles and DVD Players. What are the horizontal and vertical viewing angle? The view angle of a monitor is determined by the type of LCD Technology used. Essentially it equates to the angle at which a screen can be views from before the image becomes unviewable. This is typically measured when the contrast ratio reaches 10%. The cause of this phenomenon is due to the filters of the LCD screen, light shines straight off the screen, therefore the image degrades as your viewing angle becomes critical. Once you look at the display at a critical angle, the brightness and contrast will decrease. What is ACR or DCR? The contrast is the difference between the deepest black and brightest white your monitor can display. The "ACR" or "DCR" feature improves the display contrast by actively controlling the brightness of your screen, by increasing or decreasing the power of the backlights. ‘ACR’ means ‘Advanced Contrast Ratio’ and ‘DCR’ means Dynamic Contrast ratio. Is it possible to connect more than one multitouch screen to a computer? Yes, it is possible to connect two Multi Touch displays to one PC. This only works if you use Windows 7. When installing the screens, 1 screen must be installed and calibrated before attaching the second device. Why is my iiyama screen not as sharp as I do not use the maximum resolution? Each LCD display ,contrary to CRT, has a fixed number of pixels (native resolution). When a TFT can handle 1920x1080 FULL HD, there will be no more than to 1920x1080 pixels in it. It is possible to run at lower resolutions. However, this will degrade the image quality. This is a smart way to stretch (for example) the image from 1680x1050 to 1920x1080. This clever method is called interpolation, but it always gives a less sharp image than the native resolution. The picture does not fill the screen with HDMI and the native resolution. The monitor is detected by the computer as a TV. By changing the overscan you can make it full screen. The picture is double or blurred. When moving images are displayed, the image sometimes seem blurry. By switching on the overdrive (OD) prevents this. However, most iiyama screens with a 2 M/s response time will produce a sharp image even when displaying fast moving content. Which is why iiyama are the preffered choice for most professional gamers. The picture is not fullscreen when connected with HDMI and native resolution. The monitor is detected as television by the computer. By changing the overscan you can make the picture full screen. 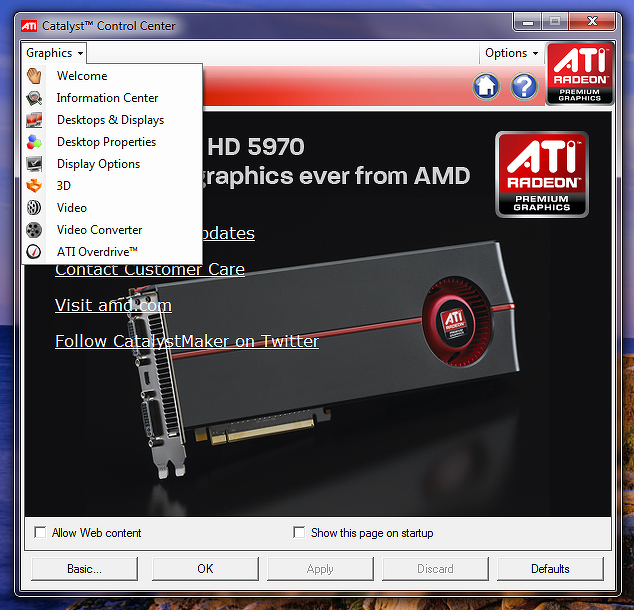 Below is a guide for recent, ATI based videocards. Select in the left top menu the option 'Desktops & Displays'. Select the black triangle of the screen (in the botton of the window) and click on 'Configure'. Now set, on the tab 'Scaling options', the slider to 0% (Overscan). How can I run my 4K monitor B2888HSU at 60 Hz with the maximum resolution? Please connect the monitor with the DP cable provided with your screen and change the DP version to 1.2 in the OSD menu of the monitor. The graphics card must support DP 1.2 version for 60 Hz support. What is the VESA mounting standard? This is a standard size (VESA 100mm or 200mm) through which you can easely mount your monitor. Almost all LCD monitors and LCD-TV's have mounting holes according to this standard. The IP code (International Protection Marking) classifies and rates the degree of protection provided against intrusion (body parts such as hands and fingers), dust, accidental contact and water. IPX1 means that the monitor is protected to vertically falling water drops. IPX3 means that the monitor is protected to water sprays at any angle up to 60° vertical. IPX4 means that the monitor is protected to water splashes against the enclosure from any direction. IP54 means that the monitor will operate in dusty conditions, and will resist splashing water. IP65 means the monitor is completely dust tight and will resist water jets. Are iiyama monitors ready for Windows 8/10? All iiyama desktop monitors, touch screens and LFD's are compatible with Windows 8/10 operating system.